The AR1335 is a 1/3.2-inch CMOS active-pixel digital image sensor with a pixel array of 4208H x 3120V. 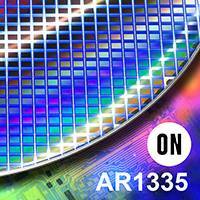 The AR1335 digital image sensor, features breakthrough 1.1µm pixel technology that delivers superior low-light image quality through leading sensitivity, quantum efficiency and linear full well. This allows image quality that rivals digital still cameras. With a sensor architecture focused on low power and a high Chief Ray Angle (CRA) for low Z-heights, the AR1335 is ideal for smartphone and other mobile device applications. It incorporates sophisticated on-chip camera functions such as windowing, mirroring, column and row skip modes, and snapshot mode. It is programmable through a simple two-wire serial interface.